This article is about the guest star. 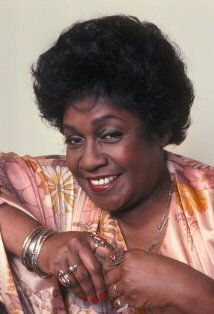 For the character, see Isabel Sanford (character). Eloise Gwendolyn "Isabel" Sanford (August 29, 1917 – July 9, 2004) was an American actress, best known for her role as Louise Jefferson on All in the Family and The Jeffersons. She voiced herself in the season 15 episode "Milhouse Doesn't Live Here Anymore". Modified on September 12, 2014, at 10:18.